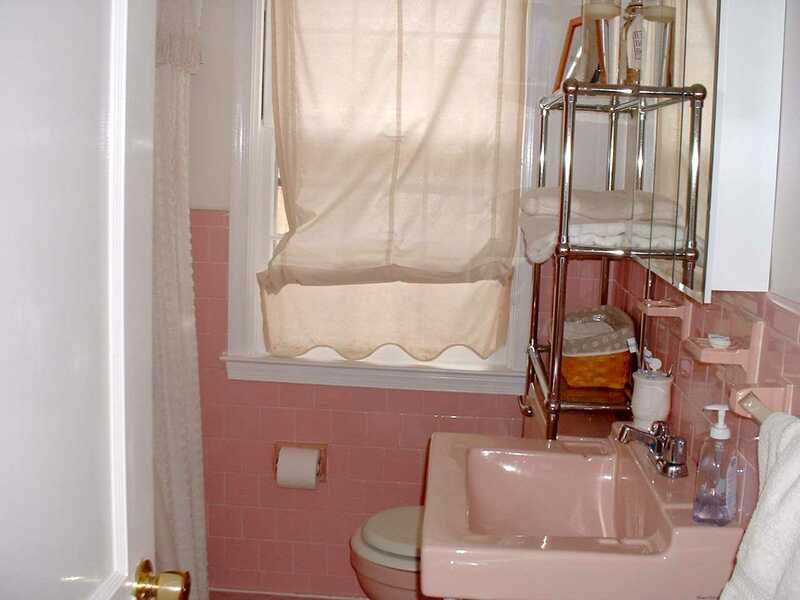 Every single item in the room should hint at past – from the curtains on the shower to the clawfoot bathtub. 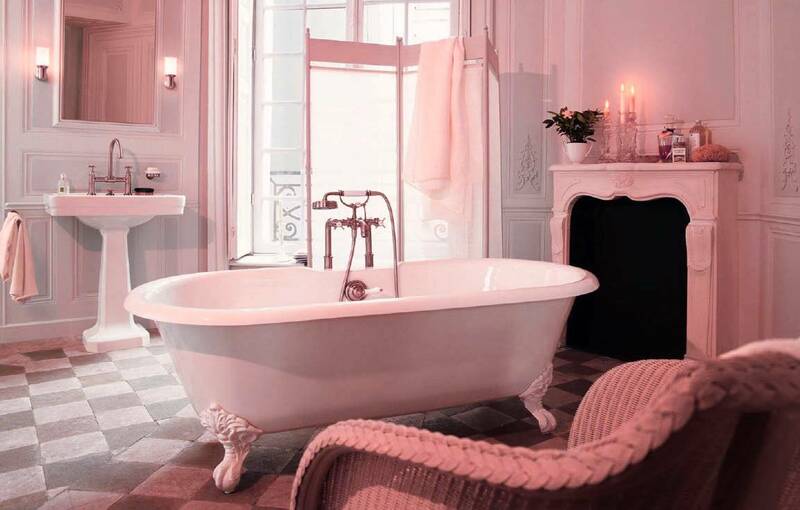 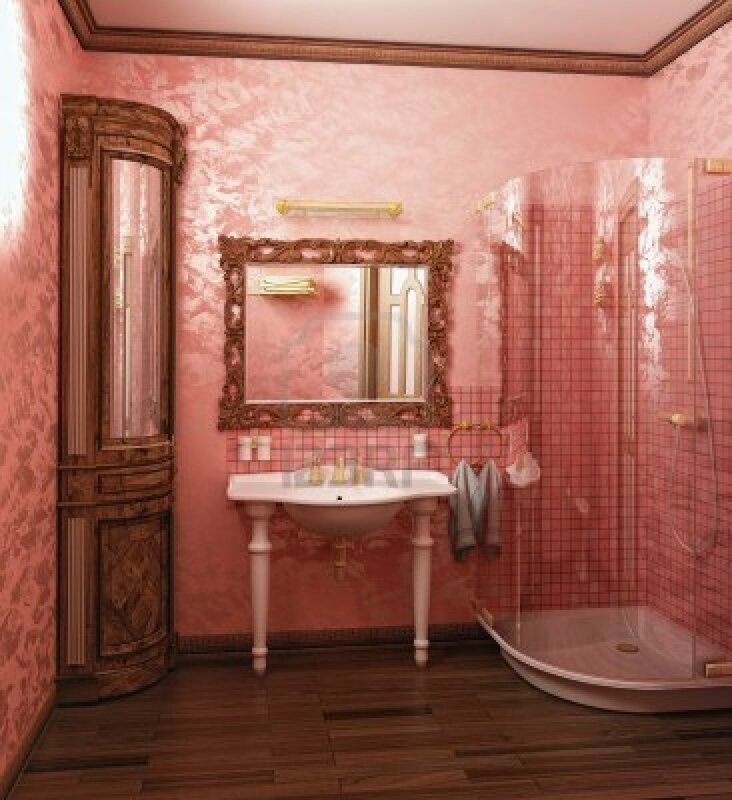 The whole atmosphere of the bathroom should evoke the sense of the past, something old but beautiful. 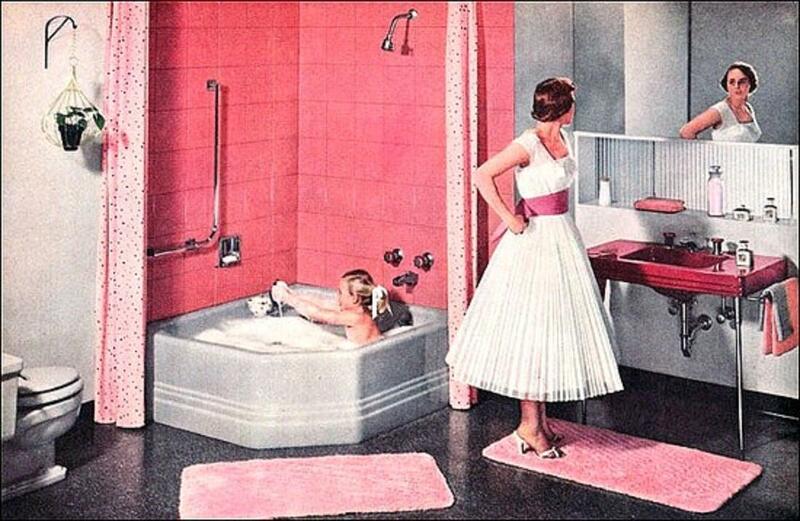 You must be ready to spend a lot of time, money and patience. 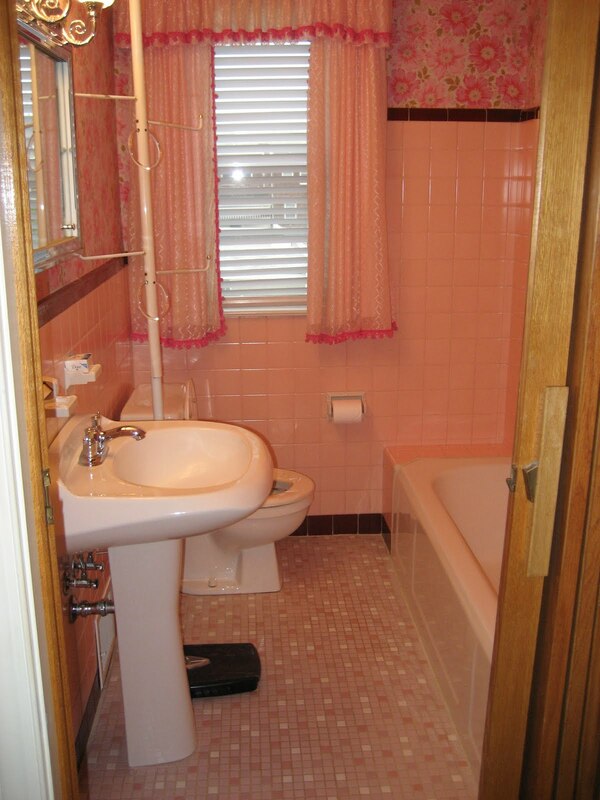 If you follow these three simple rules you’ll get the vintage style bathroom that would be one of a kind. 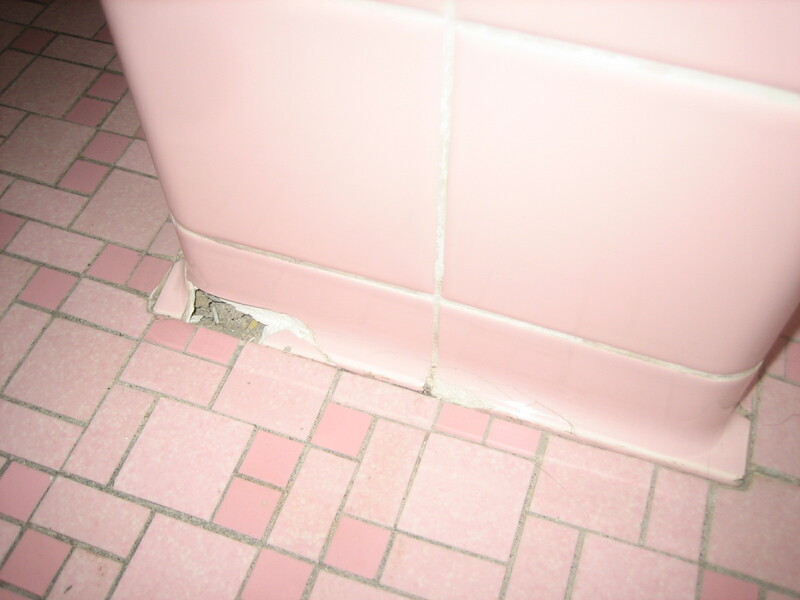 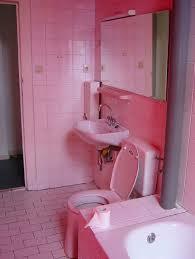 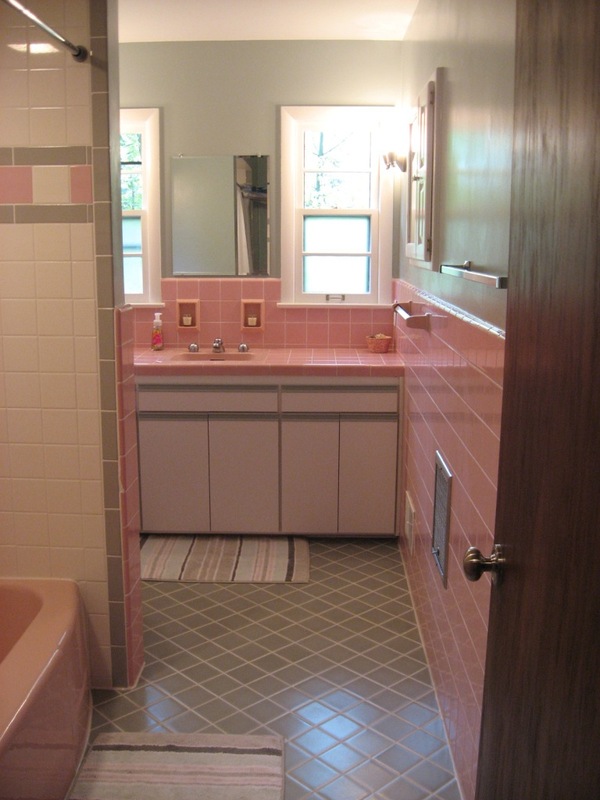 If you’re at a loss what kind of tile to use – pay attention to vintage pink bathroom tile. 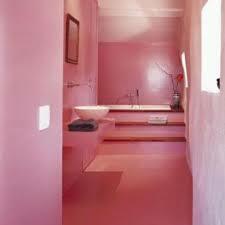 Pink – especially, pastel pink – is the perfect color to create that special atmosphere of the days long passed. 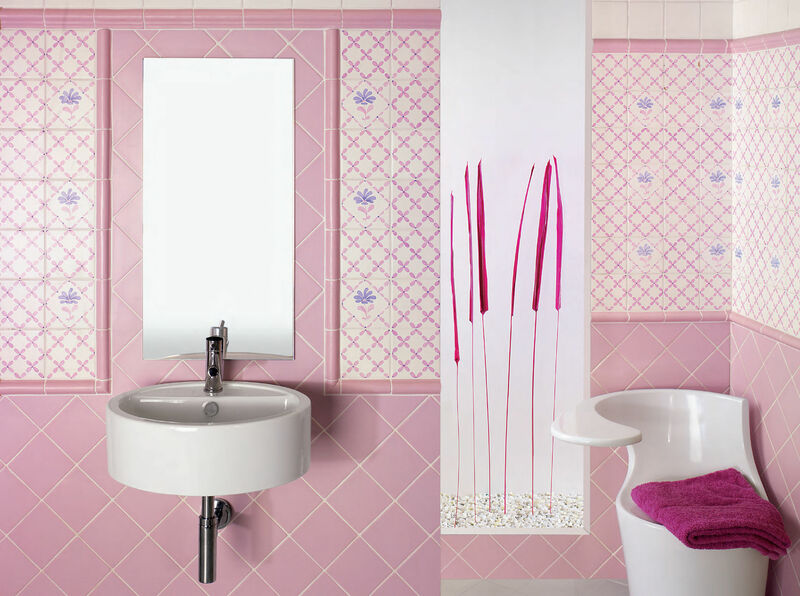 You can experiment with shapes and designs but the pink color will make the job for you. 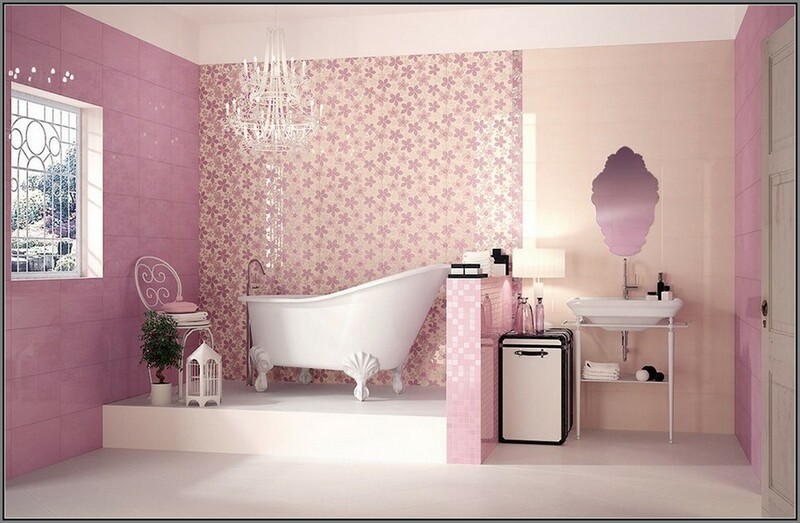 If you don’t believe us just look at the photo ideas below and get inspired! 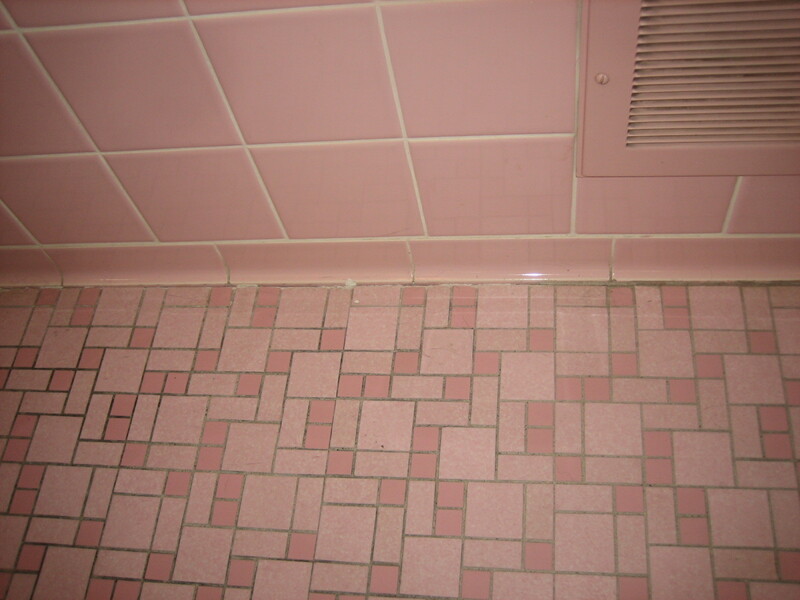 I am not a vintage style fun, but this baby pink tile stroke me. 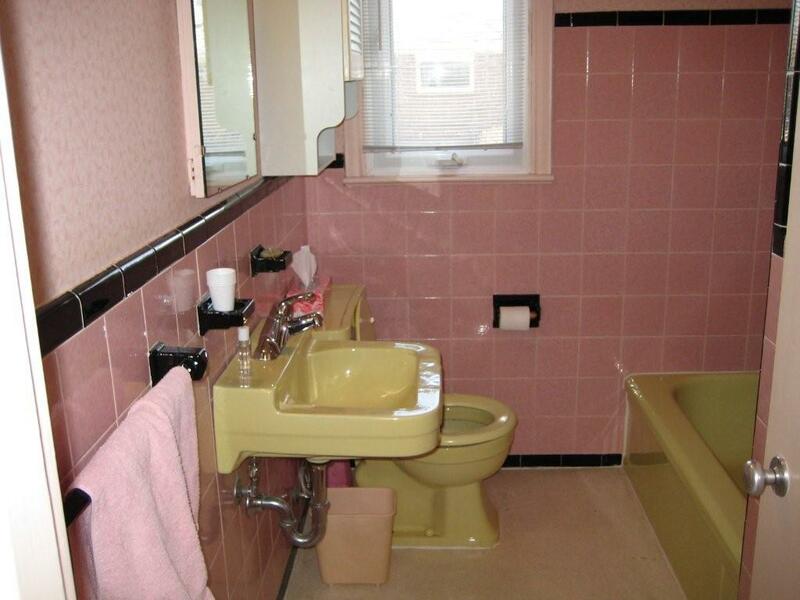 It doesn’t even look like old, just stylish. 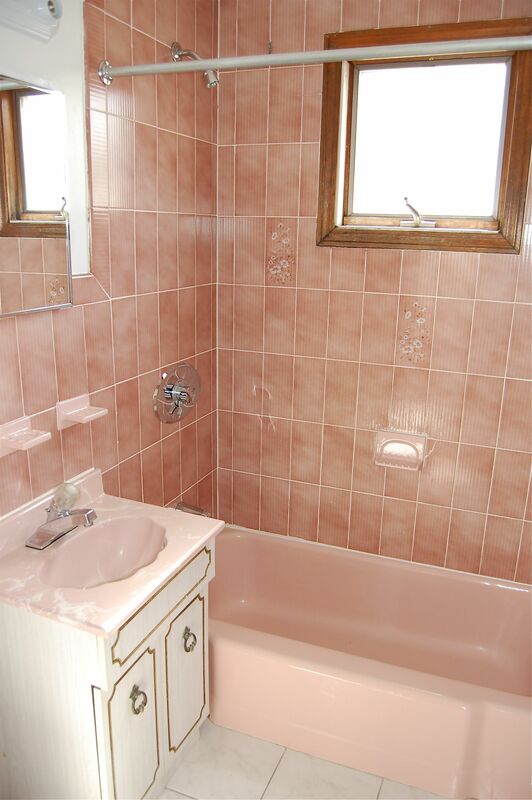 The only thing is dark red tub, it doesn’t fit here. 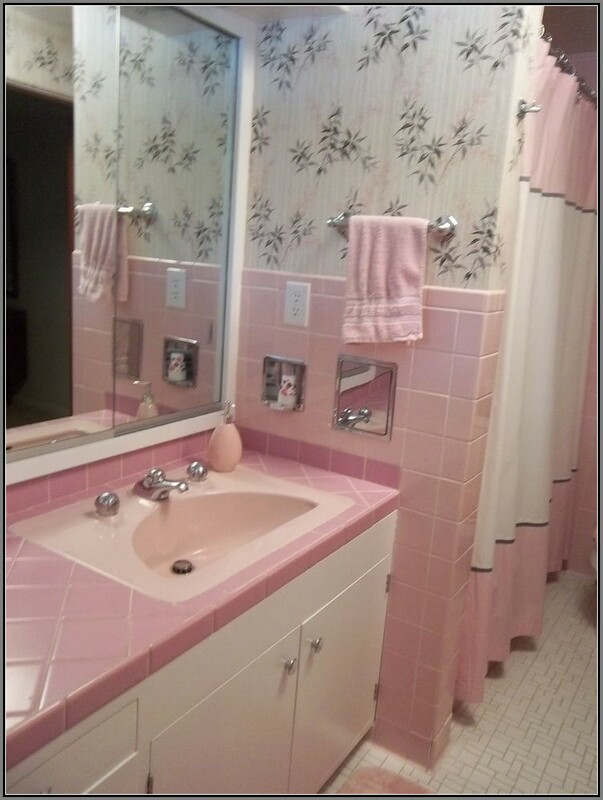 If I ever have my own house, I will adjust my bathroom this way. 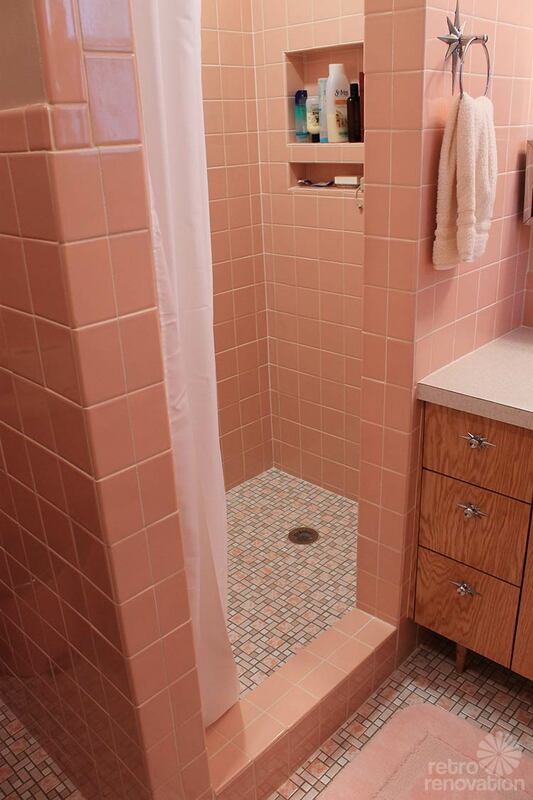 Scenery reminiscent of old-style baths. 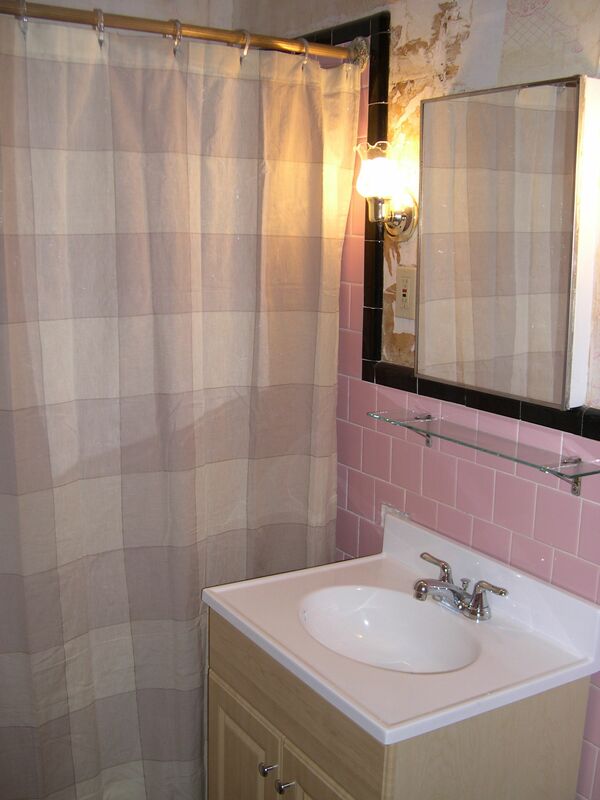 This design was fashionable 20 years ago. 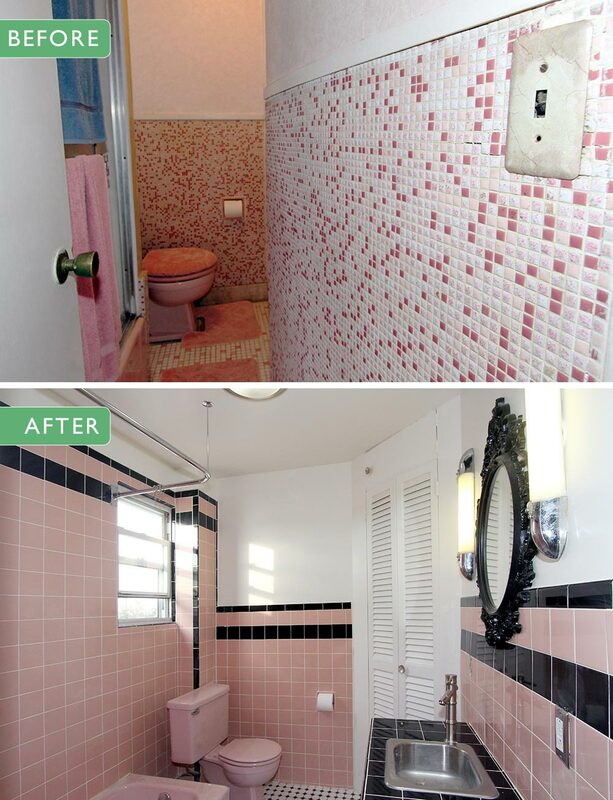 Floor, checkered tiles, white cabinets and other furniture – reminiscent of scenes from old movies. 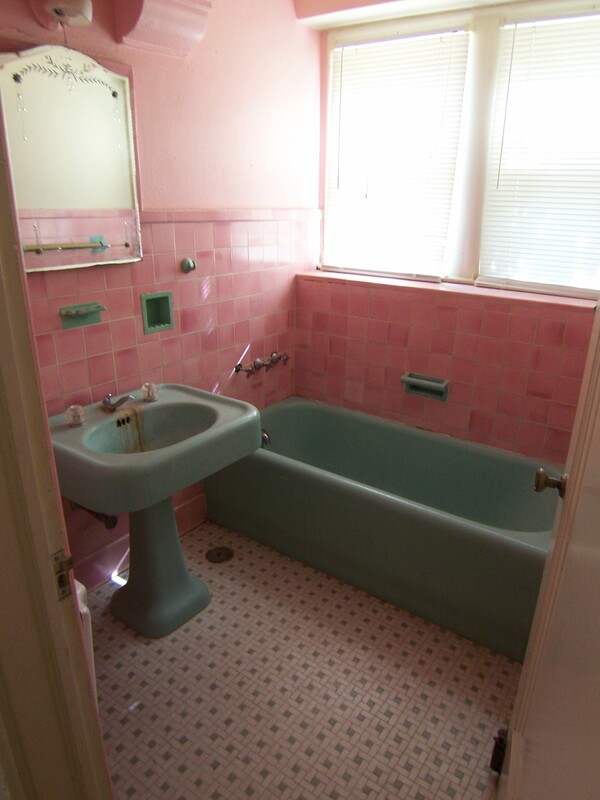 But even now the bath looks interesting and harmonious.